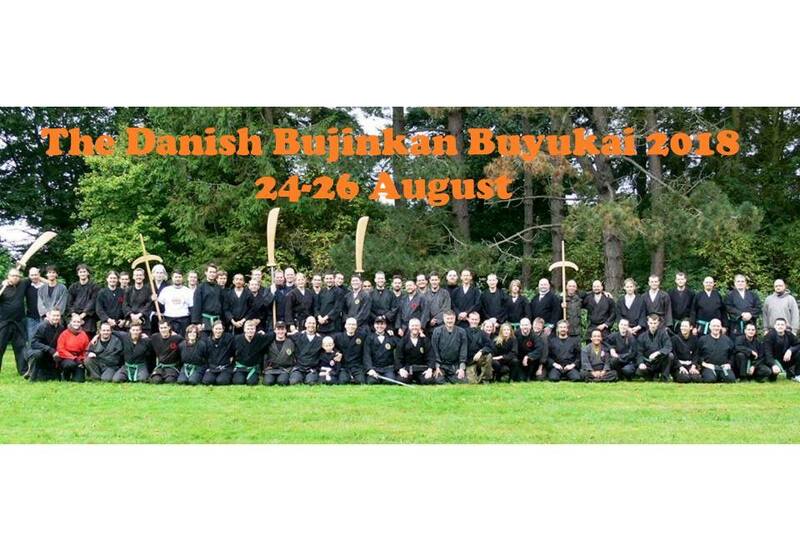 35 years Anniversary of Bujinkan in Denmark!!! Bujinkan has prospered in Denmark since 1983. Come join us and our Buyu Brothers and Sisters as we harness the Martial Wind to carry our Viking Ship to the next level of celebration. All buyukai have been different in setup, teachers and methods of teaching. This will be different again and the idea of this Buyukai is that we really like all Danish dojo to be represented with at least one teacher. If there are more 15’Th dan teachers in a dojo we encourage all those to teach. But what is important for us is that all small and big dojo will join and share their teachings. You do not need to be high grade to teach. If you have a dojo we like you to join and share. Its important for us to coorporate and train together and for all students of Bujinkan to feel welcome in all dojo’s and meet new and old friends. 18.00-18.50: Registration for the seminar. 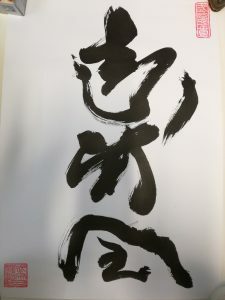 19.00-21.00: Bujinkan class. Denmark Juuyuushi Kihon Happo Class (Soke asked all the Dai-Shihan to practice and teach the 6 treassures of the Bujinkan earlier this year. Thiss class will be taught by all 15’Th dan teachers at the seminar and you will get their points of view on the Kihon Happo which is one of the 6 treassures. 18.30 – X: 35 years anniversary. Shinobi dinner and party with lots of happenings, shinobi bar team and entertainment. Breakfast and Lunch are included Saturday and Sunday. Super shinobi dinner party Saturday evening is included. If very thirsty extra alcoholic liquids can be bought for good prices at our shinobi bar managed by our special shinobi bar team. Please bring a sleeping bag and you can sleep for free in the dojo. This is included in the price. Please transfer to 1551 0003496430 (Write your “name” + BK) Thanks.